AMC’s The Walking Dead Season 7 official full Trailer is out! AMC has released the much-awaited trailer of The Walking Dead Season 7 on Friday. With so much revelation, the trailer leaves viewers clueless if who did Negan kill at the end of Season 6? Fans will have to wait until October to find the identity of his victim. The 3-minute promo clip opens with Negan saying “I wanna beat the holy hell out of one of you” followed by flashbacks from the characters. 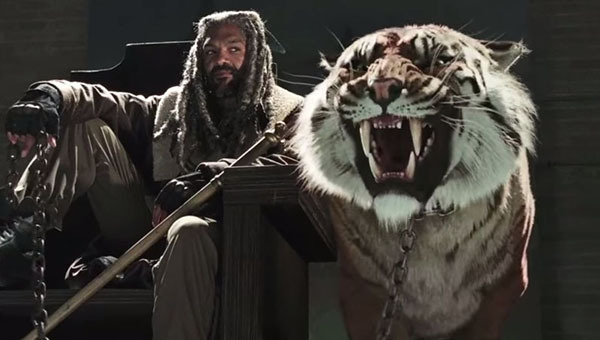 The trailer also revealed “The Kingdom” along with King Ezekiel and his tiger. Watch the full trailer of The Walking Dead Season 7 on the below. The Walking Dead Season 7 returns on October 2, 2016 on AMC. Are you excited for The Walking Dead Season 7? Share your vies on the discussion box below.